Improved management of water at the soil surface could help reduce the build-up of thatch organic matter and enhance consistent surface playability. 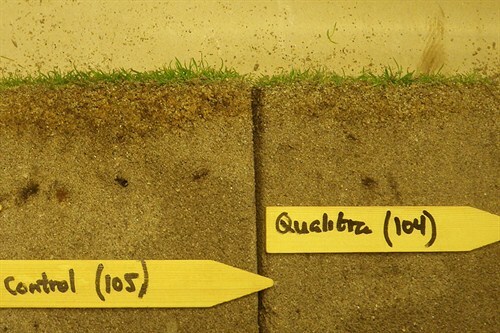 New research trials have shown a significant visible reduction in the thatch layer from a Qualibra wetting agent programme, attributed to faster water movement resulting in more aerobic conditions for efficient soil microbe activity. 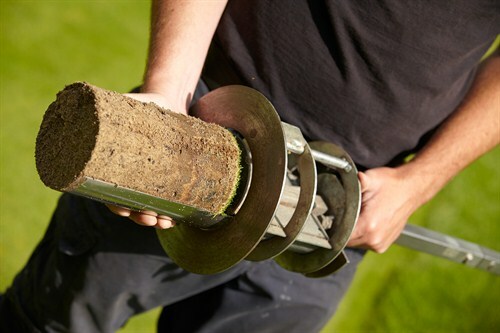 Trials by the Nordic turf research specialists, Bioforsk, showed over 25% assessed reduction in the thatch depth after a single season of a Qualibra wetting and water conservation agent programme. The use of a Qualibra moves water down from the surface to create optimum conditions for microbial organic matter breakdown, whilst retaining moisture at depth to rejuvenate turf health. 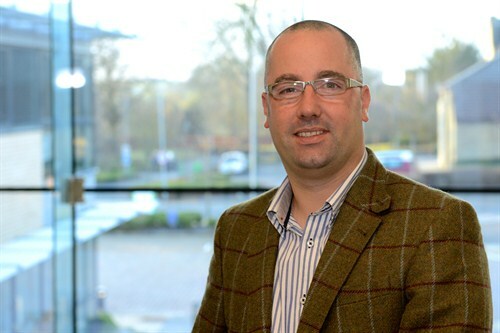 Syngenta Turf Business Manager, Daniel Lightfoot, points out that excess moisture retained in the top 50mm of soil profile produces anaerobic conditions, which could limit the activity of the specialist microbes, which are most effective in breaking down organic matter. "The combination of retained moisture and higher levels of organic matter in the surface layer are the primary factors in soft, inconsistent putting surfaces that disappoint players," he reported. "Furthermore, it creates conditions highly conducive to disease and management issues that cause problems for greenkeepers. "The effective Qualibra wetting agent programme can immediately help to produce firmer and more consistent surfaces, as well as quickly alleviating other conditions. 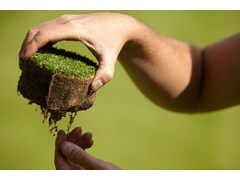 That can lead to longer term healthier turf and ease management for better playing conditions." A recent STRI report identified golf greens currently contain surface thatch levels on average 60% higher than is desirable for optimal turf health and playability. Some parkland courses were recorded with more than 25% organic matter in the top 20mm, compared to a target of four to six percent. Even links courses were found to have up to 12% organic matter extending down to 40mm from the surface, with an average 7% in the top 20mm that is still 40% above the target level. Trials by the Nordic turf research specialists, Bioforsk, showed over 25% assessed reduction in the thatch depth after a single season of a Qualibra wetting and water conservation agent programme. There was also a significant reduction in potential hydrophobicity at 5, 15, 30 and 50 mm depth with Qualibra treatment, as indicated by water droplet penetration tests. In addition to the noted tendency for reduced thatch and organic matter content, it was reported that, with Qualibra, the surface was harder on the USGA-spec. creeping bentgrass green at Bioforsk Landvik in Norway. Using Qualibra to hold water deeper and more evenly gives a better chance for the soluble nutrients to be retained and taken up by the plant - and to be fully utilised, according to Daniel Lightfoot. Dan Lightfoot further highlighted that, during the break-down of organic matter in the thatch by soil microbial activity, nutrients are released that are readily available to turf. "This recycling of nutrients from clippings and other organic matter can be a highly useful source of sustainable fertility for turf," he advised. With the use of Qualibra, which moves and holds water deeper in the soil profile through the root zone, there is a better chance for the soluble nutrients to be retained and taken up by the plant, and to be fully utilised. "Soil water management clearly has an important role in mitigating the build-up of thatch," added Dan, "where a Qualibra programme can help to maintain the right environment, healthy turf and a high quality playing surface."